Congratulations! Planning a wedding is a very exciting and thorough process. There are many options to choose from, details to remember, etc. Aside from the big items such as food, drinks, flowers and music, there are smaller supplies that are essential. Wedding sparklers are a new, stylish wedding trend. Sparklers engage your guests and make for great photos! 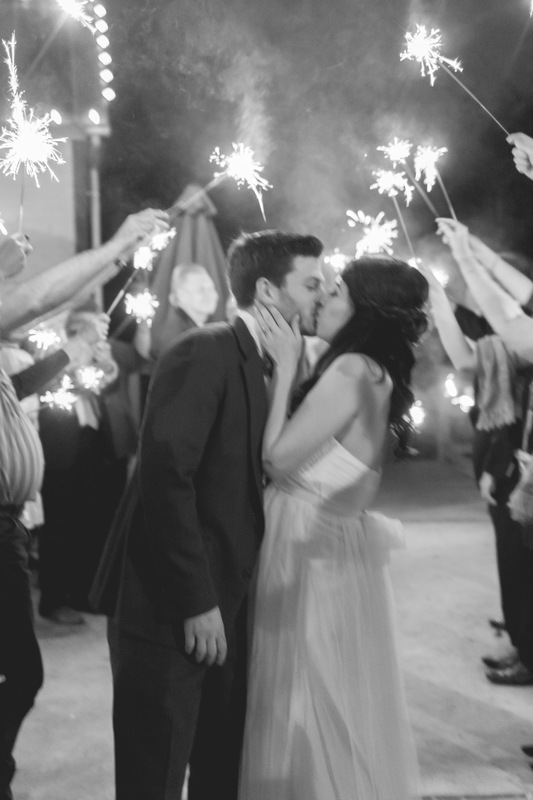 What is better way to celebrate your big day than have all your guests waving sparklers in unison? It looks beautiful and is a great touch! Candles are a must-have supply for your wedding. They are elegant and provide mood lighting and decoration for your ceremony or reception. You can put tea candles inside mason jars for extra decor. Write-on signs are a must to keep things organized at your wedding. Use cute chalkboards to write directions or label stations for your guests. These signs can be used to welcome guests, explain food/drink stations, etc. You can even have your tables labeled with write-on chalk signs and promote your wedding #hashtag! Memories. Let your guests create your scrapbook for you! It’s cheaper than a photo booth and you can print all the photos yourself. Your guests will take photos from their perspective and allow you to reminisce about your special day for years to come. Place a disposable camera at each table! Provide an interactive guest book. You’ll love to read all of your guest’s thoughts about your special day. Leave several small guest books around your reception for attendees to write about their experience and wish you good luck in your new marriage. The entries will go great with your disposable camera pictures! A guest book is a great way to remember the occasion and capture the elements from your guests point of view. Wedding planning can be hectic. Don’t forget the details! These 5 must-have wedding supplies will be great additions for your special day.